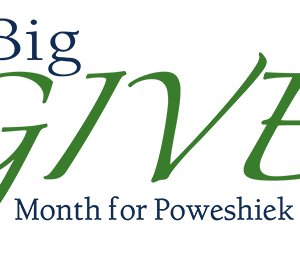 August 2, 2017 – Every year the Greater Poweshiek Community Foundation celebrates the members of our communities that choose to do good and give back to make Poweshiek County a better place to live. If you know someone that helps make your community better, nominate them for recognition at a celebration on Saturday, October 21st, 2017 at 6:30 pm at Grinnell College Golf Course. You may recognize someone in any of the following categories: Business Partner of the Year, the Youth Spirit Award, the Mentoring Award or the Connie Marshall Spirit of Giving Award. The Business Partner of the Year Award honors a business that fosters charitable giving by promoting and encouraging volunteerism and collaboration. The recipient has either partnered/collaborated with a nonprofit in a creative way or has supported nonprofits in their community with a creative incentive program and is dedicated to giving back to Poweshiek County in a significant manner. The Youth Spirit Award celebrates a young adult (under 25 years) who has demonstrated exceptional leadership in promoting volunteerism in the community. This award can be earned for a single act of volunteerism or a number of volunteer efforts. The Mentoring Award recognizes an individual who has served as a mentor in the community and has made meaningful contributions to the quality of life in the county. This year’s Spirit of Giving event will culminate with the presentation of The Connie Marshall Spirit of Giving Award. This award honors an individual or couple who, like the Marshalls, have given selflessly to their community and have shown a lifetime commitment to offering their time and talent in accomplishments that have had a significant impact on charitable organization(s) in the county. Nominees should reflect a “spirit of giving” that spans a lifetime and will be selected on the length and breadth of their community and charitable involvement. Past recipients of the Connie Marshall Spirit of Giving Award include Connie Marshall (posthumously), Art Heimann, Beryl and Mary Lou Clotfelter, Thomas Marshall, Howard McDonough, and Orlan Mitchell and Sig and Judi Barber. Deadline for nominations is September 15, 2017. 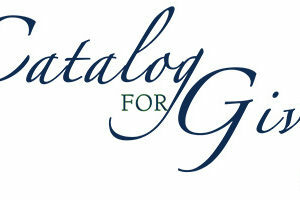 Don’t wait to nominate the person you thinks best exemplifies the Spirit of Giving!